Why is this so important? For you and your family to receive the optimum level of general dental care, you must be educated, learn about your current health and be fully involved and participate in the decision-making process. We believe people are infinitely healthier when they are in a trusting care relationship. In addition, because of our world class expertise in solving dental problems, we also understand how to prevent them. You will feel better, look better and know that you have the power to get as healthy as you want. 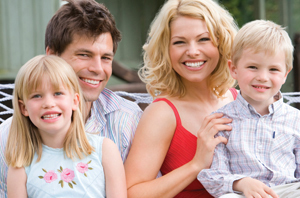 We offer general dental care the whole family will love.